Pale-medium ruby color; black cherry, raspberry, blueberry, plum, clove on the nose; black cherry, raspberry, cranberry, blueberry, minerals, spices on the palate. Dry; grippy, serious, slightly bitter tannins for a pinot noir—decanting significantly helped, something I did after the first two, small pop-and-pour sips. Decanting really smoothed this out and turned it into easy drinker. Bright, fresh, racy acidity. Powerful for an Oregon pinot noir, but it possess a lilt of lightness, too, unlike some California pinots at this price—especially after the decant. Medium body overall; 13.5% ABV. 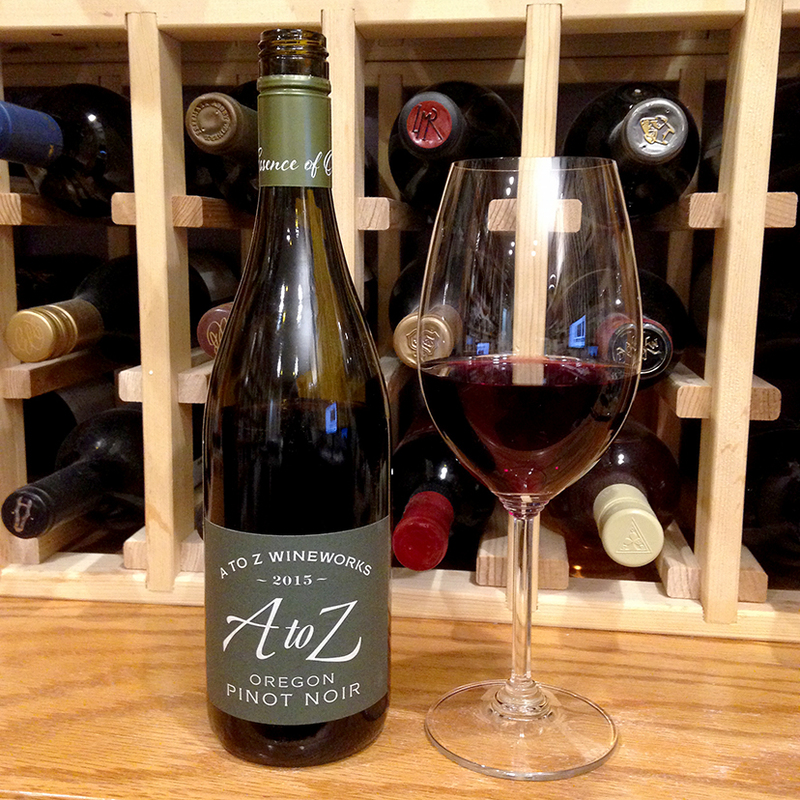 A to Z Wineworks is Oregon’s largest negotiant winery and the top-selling Oregon wine brand. 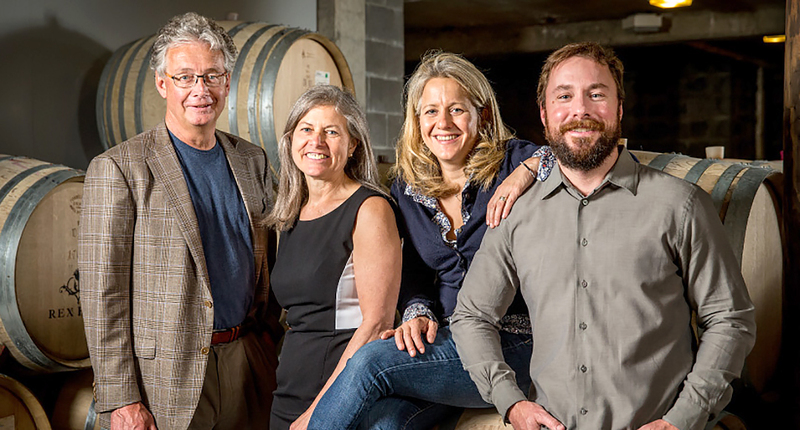 It was started in 2002 by four friends, Oregon wine industry veterans Deb Hatcher (Eyrie), Bill Hatcher (Domaine Drouhin Oregon), Sam Tannahill (Archery Summit), and Cheryl Francis (Chehalem). The two couples worked in the Hatcher’s kitchen to build the original blend, a pinot noir that was honored by Food & Wine magazine as the Best American Pinot Noir under $20. 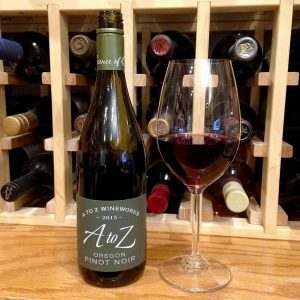 With such recognition for quality and value, A to Z Wineworks production grew quickly, with grapes for their various varietals now coming from some 100 Oregon winegrowers; 175,000 cases of this pinot were made. A to Z original owners and winemakers. 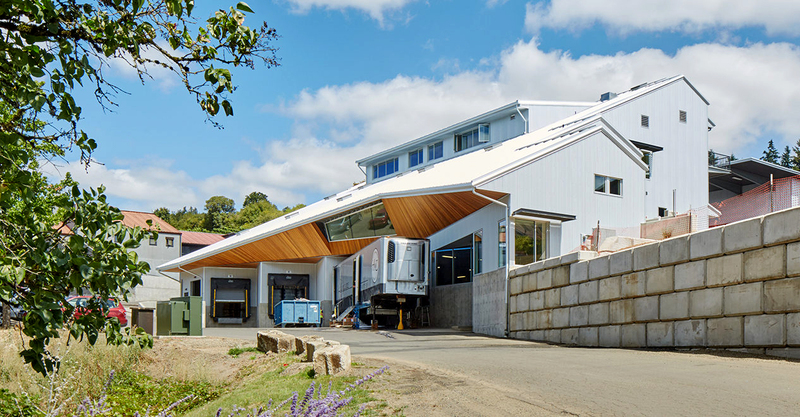 In 2014, A to Z Wineworks became the only winery in the world certified as a B Corporation, a demonstration of deep commitment to transparency, accountability, and social, environmental and economic improvement. B corporations are to business what fair trade certification is to coffee or USDA organic certification is to milk. Certification requires meeting rigorous standards of social and environmental performance, accountability, and transparency. The goal is to redefine success in business beyond bottom line numbers. A to Z pays 100% of its workers above the local living wage and pays 100% of full-time employee health benefit programs. More than 50% of management are women or individuals from under-represented populations. The winery’s dual mission statement is to offer “Aristocratic Wines at Democratic Prices” and deliver “The Essence of Oregon.” The efforts twice have been named one of Wine Spectator’s Top 100 wines of the year; this pinot gris is a perennial Best Buy. Visit their website to get the inspiring complete picture (links below).